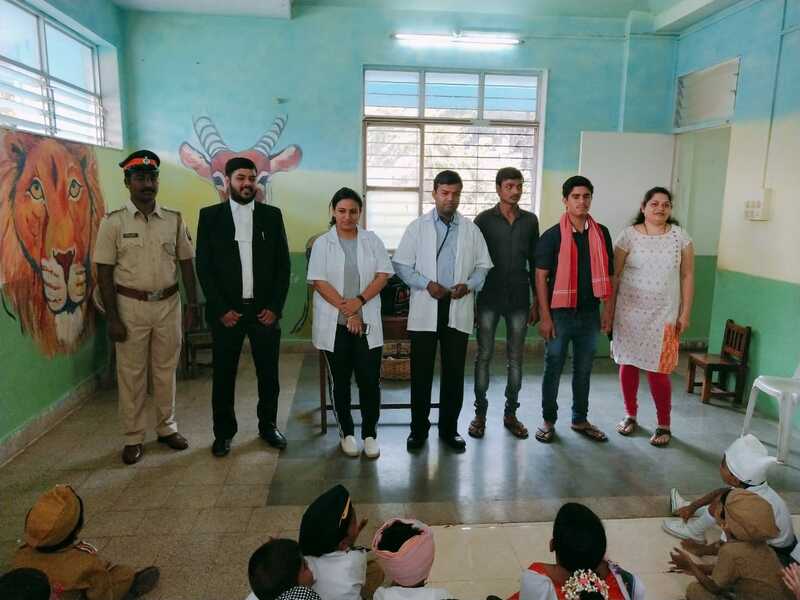 To know the way the world works and understand community helpers, the boys of Sr. Kg celebrated “Community Helpers Day” on 16th March 2019. To begin with teacher read a story on “Value and Gratitude towards community helpers”. The roles assigned by the teacher to the children were Doctor, Nurse, Policeman, Fireman, Soldier, Farmer, Carpenter, Tailor, Sweeper, Teacher, Postman, Mason, Baker, Barber, Pilot, Engine driver, Coolie, Milkman, Fisher woman, Green Grocer, Newsreader, Lawyer, Traffic police, Cobbler and Air-hostess. The children came dressed as these and brought along with them tools of community helpers. The boys spoke five sentences on their role. Resource people were invited to talk to the boys. The lawyer demonstrated his role in the society and spoke of punishment given to the one who is guilty. The dentist told them the importance of brushing their teeth twice a day and not eating many sweets. The eye specialist advised them not to watch too much TV, mobile phone and computer. The physiotherapist demonstrated some exercises to sharpen their mind. The policeman spoke about his duties and how we must not violate the law lest we get punished. The green grocer demonstrated the use of weighing scale in the sale of the products. The cobbler displayed to them the use of his tools. In the activity class the boys did ear-bud painting on cut-outs of different tools of community helpers and took them home. In the singing class boys sang songs related to community helpers like “If I were a Soldier” etc. It was indeed a knowledgeable and enjoyable day for the children.